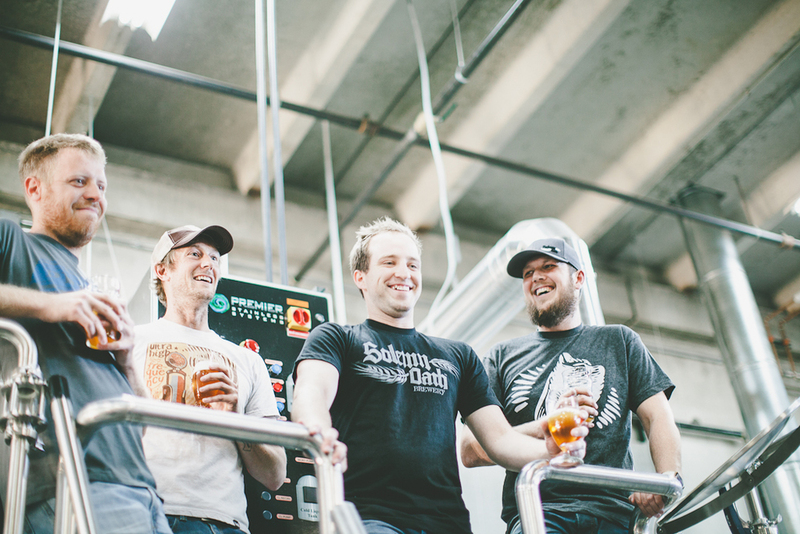 This past Sunday something special happened in Naperville — the boys at Solemn Oath, now four in John, Joe, Tim and Paul (sounding more like apostles every minute) held their first-ever Oath Day as a way to celebrate their uncanny rise as one of Chicagoland's best new breweries. 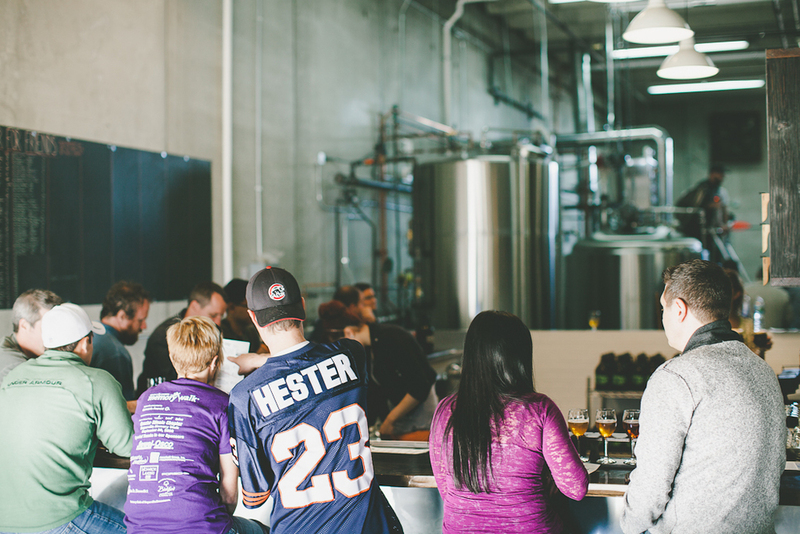 Offering three hour tours of the upstart brewery, all four members of the team lead some of Solemn Oath's best customers, and some fresh faces, through a variety of activities, from the traditional brewing process overview, to the backstory on the business, to hands-on participation from the crowd. Nearly every time slot sold out for their first event. Located in the back lot of a light industrial park behind a variety of car dealerships in the burbs, Solemn Oath isn't exactly getting passers by. They're getting converts and devotees. And Oath Day was a great reminder why. The most interesting part of the tour (besides the liberal imbibing, of course) was the beer spiking activity in which the crowd of about 30 visitors got to choose from a variety of ingredients with which to spike a base beer, in this case Whisper Kisses, their new take on a Saison. Ingredients such as Thai palm sugar, pink peppercorn, lemon peel and vanilla bean populated a list of about 20 to choose from. This exercise exposed casual beer drinkers and geeks alike to the idea of balance and flavor profiles, and what it means to tweak a beer in the spiking process. 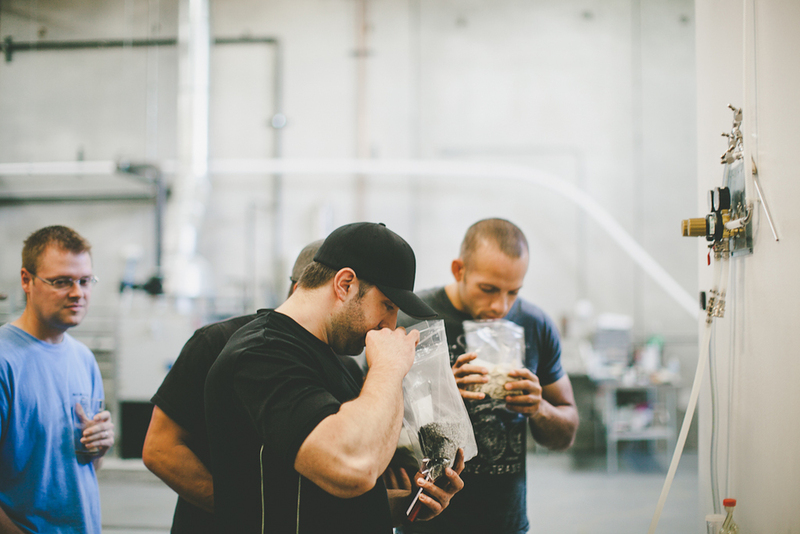 While its not uncommon for breweries to "spike" their brews with all manner of ingredients after the base is brewed, the process isn't often discussed or shown to customers in such a compelling way. But at Solemn Oath, that's part of the fun. White Peppercorn, Lemongrass and Thai Chile. Spicing recipe created by Mike Healy and named by Russ Fett from Oath Day tour #1. Whisper Kisses spiced with Lemon Verbena, Lavender and Ginger. Spicing recipe created by Tricia Jedlowski and named by Shane Fitzgerald and Paige Coy from Oath Day tour #2. Whisper Kisses spiced with Lemon Peel, Vanilla Bean and Cherry Extract. Spicing recipe created by Katie Delaney and named by Ashley Jones from Oath Day tour #3. Thanks to Ratebeer user TheAlum for posting the above info. This was a pretty special day for me as well. As part of the event, I collaborated with the brewery to offer a special limited edition run of a photo capturing Solemn Oath's first brew day. Some of these prints were offered as part of the ticket price, and the rest will be sold in the taproom at a special Oath Day price of $30 until they're gone. I was fortunate enough to capture this moment in the brewery's history, and being able to offer the print as part of Oath Day sealed the deal. I spent the whole day alongside Max Wastler (@maxwastler) of Allplaidout.com and Buckshot Sonny's, and met so many people that have been following my beer journeys, including photographer Jeff Cagle — it was encouraging that their path lead them to the same taproom as mine did on Oath Day. In the short time that we have been open we've been fortunate enough to develop a great following. We choose to utilize Oath Day as a way to get the people that are always so excited about our beers, in general, to be a part of the actual process. Spiking kegs is not a unique concept to Solemn Oath, although we love that people have been as excited as they have been about those beers. You look at guys like Goose Island pub brewer Jared Rouben, who is a talent and is well known for his abilities in pulling together ingredients most people never dream of bringing together. Also, the gents down at Cigar City in Tampa do it very well. Like us, they brew a beer and spike it in five different ways so that the one beer you made now becomes six. The approach allows a smaller brewery like Solemn Oath to offer more beers to patrons and accounts while not having the luxury of having a ton of fermenters. People don't typically realize how a little bit of spicing can change a beer completely. It's a perfect example of how important the beer design element is when you look at what actually makes it into your glass. Everything must be accounted for or the beer can and will change from the vision. The best part of working in this industry is the people we get to hang out with/work with/meet on a regular basis. While our business is selling beer, our real job right now is building our culture and we want our supporters to know that they are at the center of that idea. 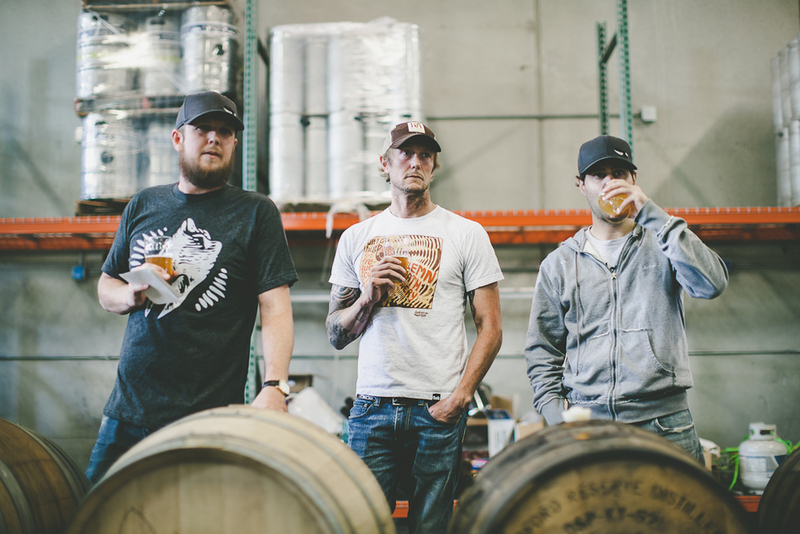 If you want to see more of what makes Solemn Oath's so special, take a look at the first brew day here, or the grand opening of the taproom here.